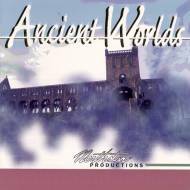 Ancient Worlds is a CD-ROM for S1000 and compatible keyboards. It incorporates 56 banks of digital instrumentation from the ancient past. Sounds from Greece, Europe, the British Isles and Middle East, Renaissance and Baroque, Irish and B.C. This CD-ROM focuses on rare acoustic instruments. Of note is the Uillean Pipes from Ireland and the entire Recorder family. Certain instruments such as the Syrinx Monokalamos from ancient Greece are quite rare. In addition, most banks contain a sampled phrase as well as individual samples. The retail price is $249.